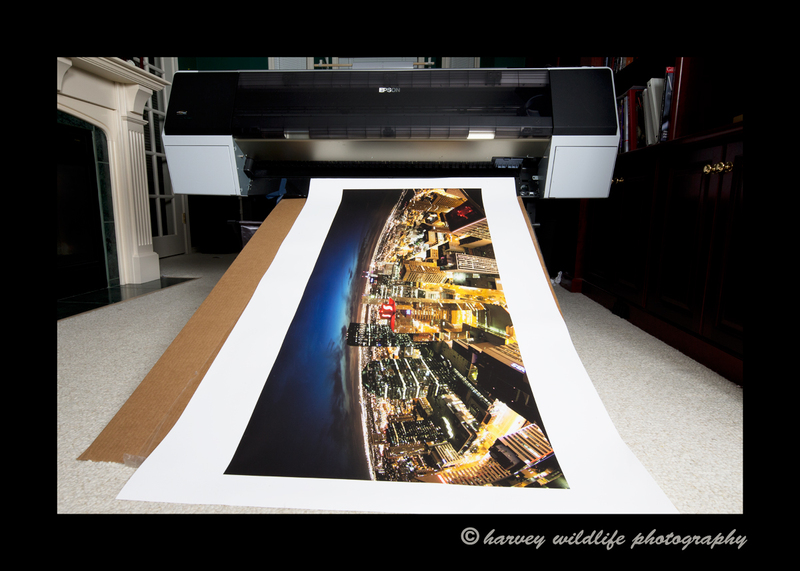 Our prints are created on either a 44" Epson 9900 or a 17" Epson 4900 printer. I print on photo paper and canvas mediums. Photo paper prints are then dry-mounted on acid free foam core. I not only print my work, but I print a lot of customer's prints too. I also provide photoshop services to ensure that your picture looks sharp and life-like. If you are going on holidays or have a special ocassion coming up and don't know anything about post production (the part after you take the picture) I can help you out. I recommend that you set your camera to shoot in jpeg and raw. Send me the raw images that you like and your prints will turn out much nicer than if I edit and print from a compressed jpeg.